It's back to school time again! Where did my summer go? We have been back in our classrooms for a while now. And you know what? 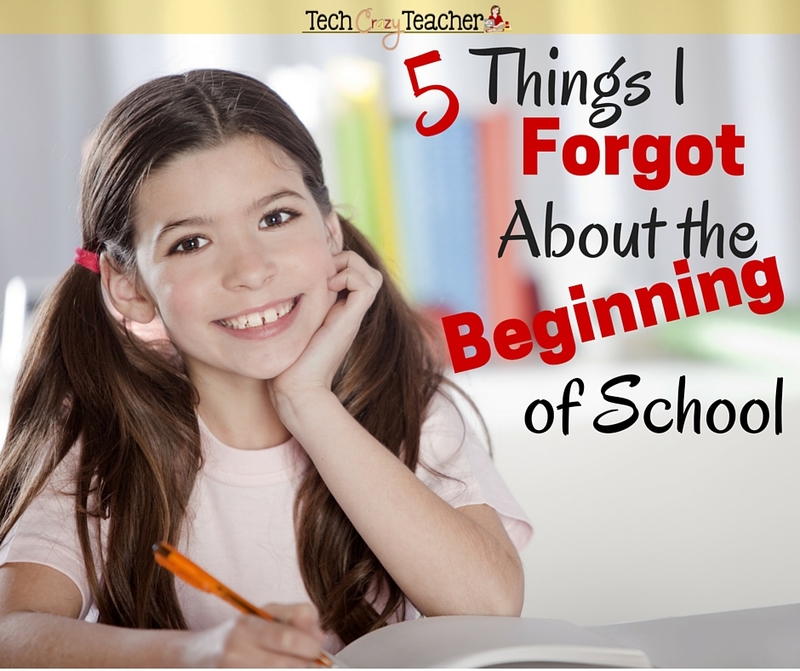 It's shocking to me that, after so many years of teaching, I could still forget some things about the beginning of the school year! Number 2 is a doozy! Some things about getting back to school seem to have slipped my mind. It seems that I have had that, "Oh Yeah..." moment quite a few times as my school year has gotten into full swing. Teaching is mentally hard. We have to think quickly and solve problems on the fly. We have to be able to juggle about 100 things in the air at a time. We have to know that Jimmy has asthma and Sue is autistic. We have to know that Jenny has an IEP fro reading but does great in math if you give her manipulatives and extra time. John walks home with Jimmy but only on Mondays when it doesn't rain because if it rains he is a car rider and his car rider number is 189. And we have to know these types of things for each of the 20 or so students in our class. Some articles I have read say that teachers make around 1,500 decisions a day. I think this is a low number on average. But during the beginning of school...I think this number is way on the low side. When you have 20 little lovelies that you don't know yet, you have to make a whole lot of decisions real quick based on limited information. Nothing to do with Teaching! Much of what I have to do at the beginning of school has nothing to do with teaching my students. I have yearly trainings, security briefings, and then more trainings. There are scheduling meeting and committee meetings. There are faculty meetings. There is Open House. There are notes, and rosters, and permissions slips that need to go home and then be collected and then be turned in to the office. Whew! I just want to get to know my kiddos! I ended last year with such a great class of highly trained students that knew all of my rules and likes and dislikes. They knew where to find a sharpened pencil. They knew how to get out their reading books. These students knew how to pretty much run my classroom. It was a well-oiled machine. Lining up-- no problem. Dismissal-- a breeze. In comes August and a brand new bunch of kiddos. These students don't know me and I don't know them. I have no idea what they know or don't know. These kiddos certainly don't know my rules and my classroom procedures. Getting crayons is a huge deal. Need paper-- hold on! It will take us a while. Putting your name on the paper...they act like they have never heard of such a practice. Uggghhh! Why does it surprise me every year when it takes soooooo long to learn our routines? And why does it seem soooooo laborious? How Much I Missed the Kids! I work over the summer. I blog and design curriculum. I research new strategies. I read professional books. I browse my Twitter feed and my Facebook groups dedicated to education. I am never really off the clock in regards to teaching. But there is just something about opening that classroom door and greeting those smiling faces at the beginning of school. A world of possibilities and of hope. Now how could I forget that? Well, that sure makes the other 4 things I forgot worth bearing! 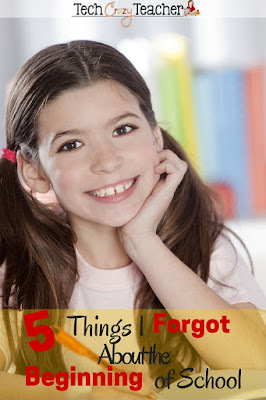 Need tips for getting back into the swing of school? Check out my Crazy About Back to School Pinterest Board!